A new year is a perfect time for list-making. Many of us do it. A resolution list for self-improvement. A goals list for work. A bucket list for travel. Basically, these are all ways to look forward to 365 days worth of new opportunities and growth. At Hope, we have many things to look forward to in 2016, the sesquicentennial year of our existence. While our resolution list will always be our mission—“to educate students for lives of leadership and service in a global society through academic and co-curricular programs of recognized excellence in the liberal arts and in the context of the historic Christian faith”—we have a highlight list, too. Some list items, like effectively teaching and researching and advising and mentoring, are quieter and less showy than other items that grab big headlines (even on this blog!). But when each item gets its conclusive checkmark, we know the resolve toward our mission has been enhanced. New Year’s lists are ways to look forward to 365 days worth of new opportunities and growth. Our resolution list can be permanently found in our mission statement. Here, then, are four things on our watch list worth checking out for our mission’s sake in 2016—the quiet, the loud and the resolute. Since its inception in 1980, Hope’s Critical Issues Symposium (CIS)—an event to stimulate serious thinking about current issues and to provide a forum in which the students, faculty and the Holland community may all engage in discussion with experts—has traditionally been held annually during the fall semester. In 2016, though, CIS guest speakers will take to their lecterns during both the spring and fall semesters, a first in CIS history. Last fall’s CIS was moved to this spring semester due to a scheduling conflict with David Brooks, the New York Times columnist and best-selling author who spoke on campus in September, 2015, as part of the Presidential Colloquium. Now CIS gets an added spring spotlight as it focuses on “Engaging the Middle East: Understanding Contemporary Changes” on Wednesday and Thursday, February 24 and 25. In light of the recent Syrian refugee crisis, the Iran nuclear deal, and the rise of ISIS, this is a subject that could not be more timely. 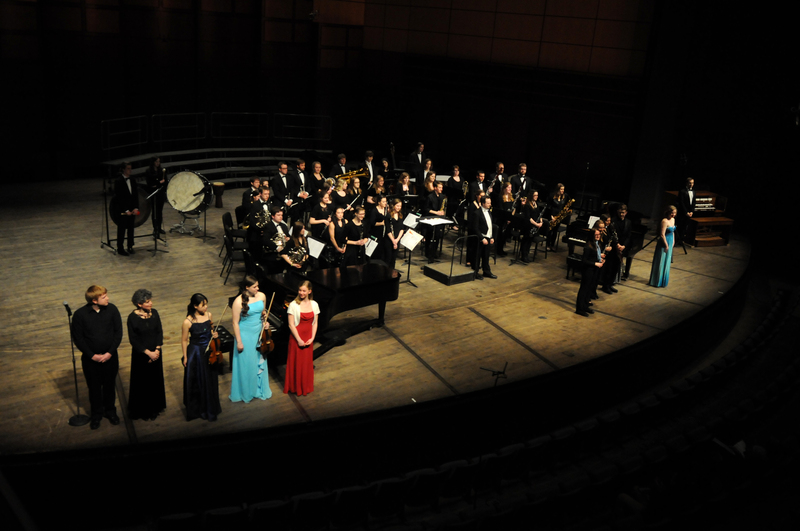 Musical Showcase will take the stage Friday and Saturday, February 5 and 6 at 7:30 pm. Tickets to the Hope community go on sale the week of January 18 while the general public sale start January 25. 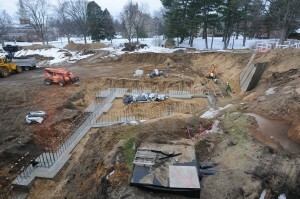 The Bultman Student Center begins its shape with footings and foundation. Nykerk Hall was razed and the site cleared since last fall. 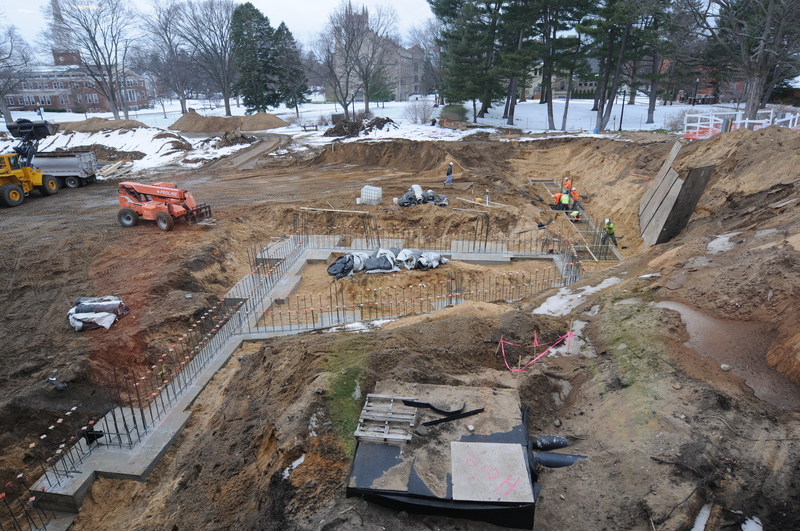 Now, the center-of-campus earth is ready for the growth of the new Jim and Martie Bultman Student Center. With site surveying and prep complete, construction on this newest Hope building has begun in earnest as soil was recently moved for the elevator pits and the pouring of its foundation and footings. Exterior walls for the three-story, $22.5 million center named for Hope’s 11th president and his wife will start to rise this May. The center should be enclosed by late fall, 2016. Once the building is complete in late spring, 2017, the Bultman Center will provide much needed, dedicated space for student organizations, offices for Counseling and Psychological Services, group meeting rooms, a large multi-purpose room, a small chapel, a theatre, a fireplace room (especially attractive during Michigan winters), and the latest in food and coffee service. The 2015-16 academic year continues to mark the sesquicentennial of Hope’s founding in 1866 when its charter was granted by the state of Michigan. That first commencement saw eight students graduate. This May, the 151st commencement will see the most graduates ever walk across the stage to receive their diploma folders from President John Knapp. The largest freshman cohort ever to arrive on campus four years ago will depart as the largest senior class, too. Approximately 650 seniors will graduate this May having completed their degree requirements in one of Hope’s 100 majors. Since it takes 126 credit hours to earn a Hope degree (and many Hope senior often earn more than that), this means the class of 2016 has successfully completed more than 81,900 credit hours or, at an average of 3.25 credit hours per course offered, have taken more than 25,000 classes in four (sometimes five) years. From the breadth and depth of general education requirements to the specificity of major courses, from the first graduating class to the next and beyond, in new buildings and old, our 2016 watch list is really about what we do best: a Hope education delivered, learned, and applied. Check.